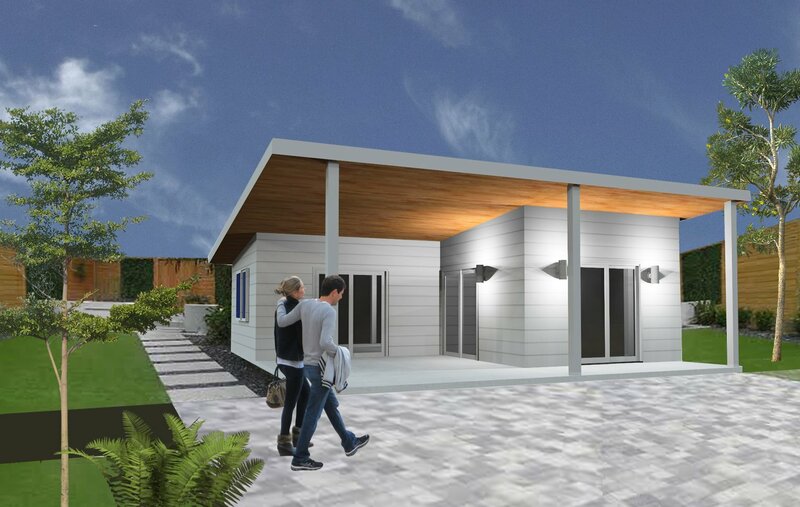 ENCINITAS — In an effort to ease housing pressures and increase the city’s stock of affordable rental units, Encinitas has launched the Permit-Ready Accessory Dwelling Units (PRADU) Program. The program provides residents with free, ready-to-use architectural plans for building stand-alone accessory dwelling units — often referred to as granny flats and in-law units — on their properties. The goal of PRADU is to speed up the permitting and construction process while reducing costs. By doing so, the city hopes more residents will consider building accessory dwelling units in their backyards, thereby providing more affordable housing throughout Encinitas. After years of struggling to comply with state housing laws as they pertain to supply and affordability, Encinitas is now under a court order to implement a housing plan in accordance with state law by April 11. By giving homeowners incentives, the city is trying to add another tool to the toolkit for meeting mandated housing quotas. Plagemann explained that by using pre-approved design plans, residents could save $8,000 to $14,000 in design fees, depending on the unit’s size. Those cost reductions — combined with ADU fee waivers of $2,000 to $4,000 that have been in place since February 2018 — lead to an upfront savings of $10,000 to $18,000. The city contracted with two different Encinitas-based architectural firms, Design Path Studio and DZN Partners, to design the plans. Each firm received $16,000 for its services. A total of eight complete building plans are available because each firm created designs for four unit types: a studio, a one-bedroom, a two-bedroom and a three-bedroom. Yvonne St. Pierre of Design Path Studio told the council that she designed her plans to accommodate the needs of homeowners who may want to expand their properties in a cost-effective manner over time. “The four units can expand as time goes on and as your finances increase,” she said. To convert the studio to a one-bedroom unit, for example, a builder would add a bedroom to the front of the home, while keeping the other expensive infrastructural elements intact. The roofline would continue over the added bedroom, creating an outdoor patio space. The idea is to plug in new parts without needing to dismantle the old ones. St. Pierre’s overall vision is one of “owner- and builder-friendly construction,” she explained. To allow for a good exterior match between the existing home and the new additional dwelling unit, St. Pierre’s plans provide multiple options for siding, stucco and stone. Bart Smith of DZN Partners also sought to insert “as much latitude and choice as possible” into his designs, he said at the meeting. For instance, he provided floor plans as well as reverse floor plans for each unit type, three different elevations, five different roof materials and other design variations. Homeowners could choose a stucco exterior with a tile roof, for instance, or what Smith called a coastal Craftsman with a four-sided gable and transom windows. Smith’s designs ranged in size from 224 square feet for the studio to 1,199 square feet for the three-bedroom unit. The designs are aligned with the city’s newly adopted additional dwelling unit ordinances, which seek to ease restrictions on building standards in order to promote construction. Featuring reduced setbacks, the waiving of parking requirements if the unit is located within a half mile of transit and other flexible building standards, the ordinances are considered one part of a multi-faceted approach to creating more additional dwelling units. Encinitas calls this overall program “Housing for Generations.” It also includes new rules around junior accessory dwelling units, which are no larger 500 square feet and contained within an existing single-family residence. The junior units must be part of an owner-occupied dwelling and have to provide an efficiency kitchen. Sanitation facilities may be shared. In conjunction with more flexible dwelling-unit ordinances and the permit-ready plans, Encinitas has been attempting to promote the implementation of Senate Bill 1226, which was sponsored by Encinitas and became effective on Jan. 1. SB 1226 allows accessory dwelling units to be permitted based on the codes in effect at the time the units were built. By not requiring an owner to bring the unit up to current code, which is often infeasible and prohibitively expensive, it is hoped that more homeowners will register their rentals, which in turn will increase the housing stock. To inform the public about the permit-ready program and the new regulations for additional dwelling units, the city will host an “Everything ADU Workshop” on Jan. 22 from 6 to 8 p.m. at City Hall. Additionally, on Jan. 28 from 4 to 7 p.m., an “ADU Open House” will be held at the Encinitas Library. At the open house, interested residents will have the chance to speak one-on-one with city officials about navigating the process of permitting and building accessory dwelling units. A Housing for Generations catalog that includes how-to instructions on building ADUs as well as the pre-approved architectural plans is expected to be ready and available to the public by the beginning of February. Great looking design. Build them with prefabricated construction to minimize the disruption to neighborhood and save time. Couldn’t agree more Bill Cavanaugh. Not only time but money as well. Factory Built alternatives are definitely available and shouldn’t take any longer to approve as they are approved and permit ready when they leave the factory. Thus, they shouldn’t take any longer to get permitted than the PRADU models and they can duplicate the exact same foot print, elevations and floor plans. You can check them out on the website below. Here’s the website and contact info. Any parking requirements? Imagine a detached grannyflat for inlaws who owns two cars. Where will they park? My previous house was on a cul-de-sac, where the street was always full of parked cars before accessory units were an idea. On that page, you can also click the link for “ADU Ordinance No. 2018-01” and scroll to section 15 to see all the parking requirements. You are right that there could very easily be a situation in which the occupants of the ADU own two or more cars. It does not appear that the city has taken specific measures to mitigate against a scenario like that, but I will ask for more information the next time I report on this topic. Thanks for your interest and comments! What about parking? My previous house sits in a cul de sac. Many cars were always parked in the street. Granny flats will bring more vehicles to the neighborhood. Where will new residents park? This is great news! Finally a proactive approach on how to ease the housing pressure. Where can we find more info on City website? WF, you can find more information at http://www.encinitasca.gov/adu. Thanks for your interest! You can also select Factory Built alternatives. Check out http://www.crestbackyardhomes.com. PLEASE we must ban together and dump trump. He’s a total disgrace to the UNITED STATES. why does sacramento get to tell us how many people we need to squeeze into encinitas? why does someone who doesn’t live on my street get to waive codes, like making sure there’s enough parking spaces, or how tall a building can be? why don’t our elected representatives work for our quality of life? John DL Arendsen There are also other even more affordable options to consider like Manufactured Crest ‘Backyard’ Homes. 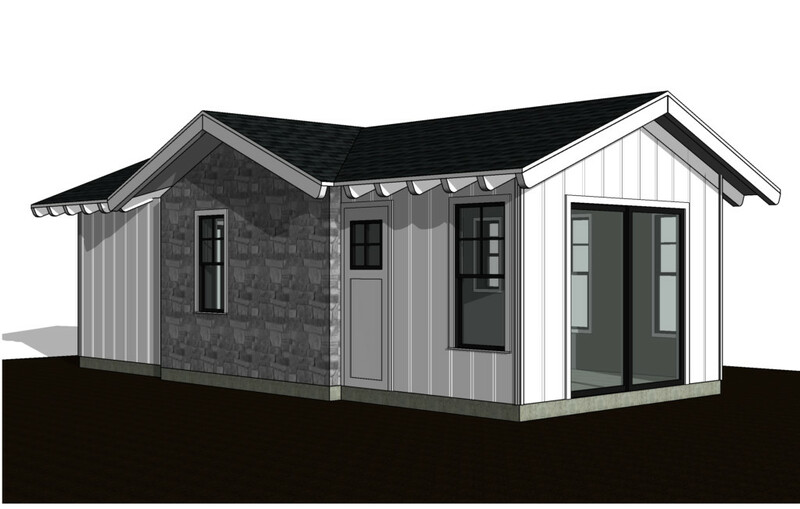 We are located in Leucadia and have 5 models we would love to show anyone who is interested in an ADU. We are general and manufactured home contractors and can do ground up design build and/or manufactured. If you choose one of the City’s PRADU designs we would be happy to build it for you. We will be attending the workshop and open house planned later this month. Feel free to call me anytime. 760 815-6977. FYI Dat Dajun, there are a lot of folks in RSF, Fairbanks Ranch, Olivehein, Del Mar, La Jolla and every other high end neighborhood who are adding BACKYARD HOMES to their property. Those folks who can’t afford to live here are your kids school teachers, the folks who provide you with emergency services when you need them, who deliver your mail and who bag your groceries. Do they not have a right to live in the neighborhoods they service? Or is that just for folks who are fortunate enough to own their own homes? For those folks who would like to know more about BACKYARD HOMES aka Accessory Dwelling Units (ADU) you may want to down load the ‘BACKYARD HOME GUIDE’ Everything You Need To Know About Building An Accessory Dwelling Unit. Just go to http://www.crestbackyardhomes.com and look for the red tab on the side of every page, click on it, fill out the form and payment information. The Guide is normally $19.95 but is available for all San Diego property/homeowners for $14.95. I think it is a great idea to ease the burden of taking care of a parent or loved one. The normal fees can scare you away going forward with one of these projects. I would be happy to help anyone in there design and budget process. Richard Clinkenbeard with R L Clinkenbeard Construction inc. Factory Built alternatives can definitely save time and money. As a general & manufactured home contractor, manufactured home dealer and real estate broker, developer and investor I can say that the turn around time, site preparation, i.e. grading, excavation, foundation, etc is far less expensive than site built. 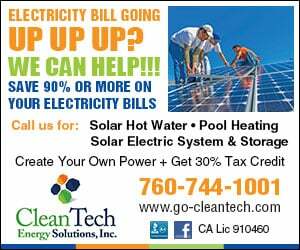 If you are an Encinitas resident we will automatically refund the $14.95 fee. Just go ahead and pay for it and we will immediately refund it back to your credit card. Housing unit refers to one apartment in a building or one house. The RHNA numbers for low income housing for the 5th cycle in the SCAG (Southern California Association of Governments) counties have some cities that only need to build 2 housing units which hardly needs up-zoning. The RHNA number for low income housing for Encinitas requires up-zoning for 1,033 housing units. Why is Encinitas required to up-zone for 500 times as much housing than some cities in other counties? It depends on the mandated housing numbers (RHNA) issued by HCD. Orange County, in the SCAG region was mandated by HCD for the 4th housing element cycle (2003-2011) to divide up 82,332 housing units among the county cities. For the 5the housing element cycle (2012-2021) the total number was reduced by HCD to 37,966 housing units. Los Angeles County also in the SCAG agency, for the 4th cycle housing element was mandated by HCD to divide up among the cities 280,907 housing units. For the 5th cycle for Los Angeles County, HCD reduced that number by 101,026. LA County only had to divide up an HCD mandated 5th cycle housing mandate of 179,881. In contrast, San Diego County cities were told to divide up 107,300 housing units for the 4th cycle. For the 5th cycle HCD INCREASED San Diego County’s housing numbers 54,680 housing units to 161,980. Newport Beach in Orange County has a total of 5 (five) housing units that must be built and 2 of them are very low income and low income. Encinitas was mandated to build/have built 1033 very low/low income units. The mandated housing numbers are unjust and unfair for residents in the San Diego region. The Encinitas City Council should investigate and demand the same RHNA number of 5 housing units as Newport Beach.